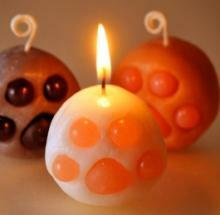 PetsLady blogger John P. Barker passed away unexpectedly earlier this month. In addition to a variety of articles he was best known for sharing Animal Videos of the Day. These scented puni-puni cat's paw candles made with paraffin wax and mineral oil are the only way anyone should give their pet a hot-foot. Curiosity may have killed the cat, but it did take nine times to do so. 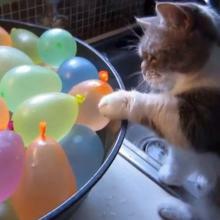 Enter a tub full of water balloons . . .
Reading in bed is a great way to get your reading done and for the Z's to come. 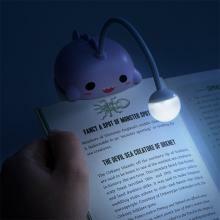 Don't settle for just any book light to help you out. 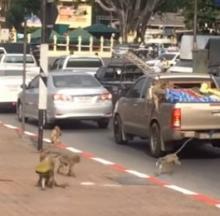 A sweet-toothed troop of monkeys in Lopburi, Thailand, was recorded robbing durian fruit from the open bed of a pickup truck stuck in heavy traffic. Step lively feathered friends! There will be no pink roadkill on my watch!